This is dedicated to a dear friend. She recently started to cook. And she has slowly started to enjoy it, but is still afraid of the "unknown" ingredients and "cooking techniques". And then I began to think what she would definitely need in her kitchen - its a clean slate as far as Indian cooking is concerned. 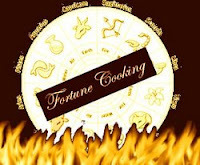 What would one who was cooking everday Indian food, absolutely need in the kitchen? What are the spices? vegetables? grains? Is that a fair list? What is the bare minimum you have to have in your kitchen at all times? And then I went to the recipes part of it. I found the 10 recipes that I took with me to the US, as a student, were invaluable. I've posted two of them before: Spicy Potatoes and Bell Pepper with Gram Flour. This is a 3rd recipe. It's so easy that its almost a no-brainer, but the flavors blend so well together and everyone always enjoys it. In a saucepan, heat a little bit of oil. Add the mustard seeds. When they begin to splutter, add the cumin. Brown for a minute. Add the spinach and salt and cook until it begins to wilt. Now add the corn and mix well. That's about it. And it's always a hit! This is off to Shriya of Spicy Tasty's Fortune Cooking Contest. This is my favorite way of eating greens. So here we are at the end of the Recipe Marathon - it was one of the most fun events I've taken part in. Not only did we manage to cook up something everyday and post about it (which, you must admit, is a HUGE feat! ), we also managed to find lovely friends in such a short time. If anyone has any doubt of whether to join this the next time around, I hope you won't hesitate - it really was so much fun. Now onto the food! DK made fantastic sabudana vadas - oh-so-delicious! Divya made mattar paneer - an all-time favorite. Swati professed her love for...eggs. Check out Siri's and Bhags' contribution. Lakshmi made some great looking rice. Raaga posted tons and tons of recipes! Ranji made a refreshing watermelon juice. Valli used the entire ridgegourd! I've made these rolls lots of times when entertaining and never got a chance to post the recipe because, as Sig says, its very difficult to take photos while everyone is waiting to eat. Unless you keep some aside to take photos the next day - but with this recipe there is never anything left over! It's not the best looking appetizer, but oh-so-delicious! Saute mushrooms for 5 minutes in butter on medium flame. Blend in flour and salt. Stir in cream. Cook until thick. Add spices, lemon juice and coriander. Remove crust from bread. (Don't throw away those beautiful crusts, though. You can toast it in a 350 deg F oven for 5-7 minutes and grind them fine to make breadcrumbs. Breadcrumbs can be stored in an airtight container in a freezer for up to 3 months). Flatten each slice with a rolling pin. Add a little mushroom mixture on each slice and roll up. Rolls can be put in Ziploc bags and frozen until ready to serve, or put in fridge until ready to serve if the same day. When ready to serve, preheat oven to 400 deg F and toast roll for 10 minutes on each side approximately. When toasted, remove rolls from oven, cut each roll into half and serve hot with a spicy sauce. Alternatively you can just scoop the mushroom mixture directly onto little bits of toast and serve the traditional mushrooms on toast. Bhags has a lovely risotto. Ranji has a traditional spice mix. Swati makes chickens smile. DK has some fantastic melt-in-the-mouth bites. Siri did a lovely okra dish and dishes out about the status of the Open Sesame fun fun fun contest! Who could ever refuse Lakshmi's Hot Chocolate? Valli adds to her valuable LBS. And Raaga rounded it off with a great raspberry dessert. Rotis/ Naans/ Chappatis/ Parathas are all north Indian in origin. Rice is the staple food of south India. That is, until a few decades ago, when people started to travel and foods/recipes and cuisines got interchanged. Even now, south Indians can't make breads as well as north Indians (at least the majority). I know someone who lived in a family of about 12 people - and she was assigned the task of making rotis everyday and she would make almost 40 a meal! So, anyways, all that stuff was to lead into the fact that until recently I couldn't make a roti at all. They would be hard and chewy and very disappointing. I then learnt from a friend, and now they're half-way decent. But I love my parathas! Make a well in the middle of the flour. Add the oil, salt and a 1/4 cup of water. Mix together. Continue adding water (about 2 tbsp at a time), until the dough is formed and is elastic. Cover and set aside for at least a 1/2 hour. Take small portions and make balls (the size of a lime), then use a rolling pin to roll the ball out into circles as thin as possible. Keep aside. Squeeze the radish to remove any excess water. Heat some oil in a saute pan. Add the garlic and toss for a minute. Add the onion and cilantro and saute. Now add the radish and saute well until cooked. (The smell of cooking radish is truly awful - but the final result is well worth it!). Add the turmeric, chilli powder, garam masala and salt and toss to combine. Remove from heat and shape into small balls (the size of table tennis balls). Heat some oil in a saute pan. Add the garlic and saute for a minute or two. Next add the fennel, cilantro and potatoes. Continue to saute for about 5-6 minutes. Add the chilli powder, garam masala, turmeric, salt. Cook for another 5-6 minutes. Place a ball of filling in the middle of the prepared rotis. Fold the dough over the filling to cover completely. Roll it out again. Heat a tsp of oil on a hot griddle and put the paratha on. Turn over when you see dark spots appear. Cook both sides for 3-4 minutes each and remove. Repeat with the remaining rotis and filling. This is for Valli's Roti Mela. I know this is such a basic recipe, but this is as far as I've gotten in my roti-making ventures! I'm glad to contribute to the Mela, Valli, and looking forward to the round-up. Not sure if any of you are aware of Siri's seriously good sketching talents, but that's the first thing you need to check out before sitting down for this feast. You could go Indian with lots of curries - Lakshmi's Kootu, Swati's Aloo, Valli's Chicken and Divya's Black-eyed peas, with fabulously innovative brown rice patties from DK. Or you could do Italian with Raaga's Spaghetti. Whichever way you go, you have to have dessert - and we have two choices on the menu tonight - Ranji's Chocolate Chip Banana Bread or Bhags' Oats. Or maybe both? I tried, tasted and tried again. Yup - you read right - I experimented with the recipe...and I shouldn't have. Zlamushka's Tried and Tasted event this month features Cynthia's blog, Tastes like Home. I got the recipe for Cook-up Rice (a national dish of Guyana) from Cynthia a while ago, and have been meaning to make it. Her recipe uses coconut milk, parboiled rice, veggies and black-eyed peas. One evening, everyone was really tired and I wanted a one-dish meal and I thought of this one. I didn't have black-eyed peas and wasn't planning to go out and get some, so I checked the Cook's Thesaurus and it said I could substitute Pigeon Peas (Toor Dal). And I used brown rice instead of parboiled (again, just lazy). It was ... um... let's just say I decided to follow her recipe next time. So I made it again the next day. This time, I got the black-eyed peas and I used rosematta rice. And it came out perfectly! Thanks, Cynthia, we are going to make this very often. And the black-eyed peas are a MUST - do not substitute it!! First brown some onions in a pan and add the black-eyed peas (the peas need to be soaked beforehand). Now add some water and cover and let it cook until the peas are almost done. Add the veggies and a chopped tomato (I used peas and carrots, but you can use any combination you'd like). Saute for a minute or two. Then add the rice and continue to stir for a few minutes. She suggests adding thyme, but I didn't have thyme and so I added a seasoning blend that contained thyme! Now add coconut milk. I added about a 1/2 cup at a time - waited for it to be absorbed into the rice before adding the next 1/2 cup. That way I could control how much the rice was cooked. Stop when the rice is cooked but not mushy. Definitely a keeper. Thanks for the recipe, Cynthia - this has truly been tried and tasted! Swati had a leg disaster. Valli got away with mango noodles. DK went to Morocco. Siri made rice. Lakshmi made kootu. Ranji made some authentic Kerala food. Bhags got hummused. Divya got some spicy green action going. No desserts today, sorry. I like the photo because you can almost feel the heat off the screen! And I love the look of the curry bubbling and simmering - a beautiful base for lovely beans. Heat some oil in a pan. Add cumin and onion and saute till onions are brown. Add ginger, garlic pastes and green chillies. Allow it to cook until the raw garlic smell disappears. Add beans and saute till well blended with the spices. Add chilli powder, turmeric, coriander powder, salt and mix well. Let it cook for 5 minutes. Add tomatoes and cook for 5 minutes. Add water and bring to a boil. Toss in the fenugreek leaves while the water is boiling. Reduce to medium and let it continue to cook until the curry gets a thick consistency. Add chopped cilantro leaves as garnish. Serve with rice or roti. I got a surprise package of dried raspberries and blueberries from a relative in the US. They knew how much I missed the berries, and sent it to me. And it was just after I rallied to get chillies included as berries in this month's AFAM: Raspberries, hosted by Dee! So, you see, when word gets out, I might have to go into hiding, from my fellow Indian bloggers, who made chilli dishes! The only redeeming part is that I posted a recipe with chillies too! Preheat oven to 220 deg C.
Combine the butter and sugar. Add the flour, egg, salt and baking powder. Blend till moist. Slowly add the milk and then the buttermilk. Add the dried fruit. Spoon the batter into greased muffin pans. This is my entry for AFAM: Raspberries, hosted by Dee. We have Valli leading with Onion Chapatis. Raaga has a delicious looking Vegetable Foccacia. We are featuring two chutneys today - Siri's Tomato Chutney and Swati's Mint Chutney. They would probably go really well with Bhags' Baked Chapati - you'll have to try it and see. Of course, you'll need some curry on the side, and here Divya comes in with her lovely Cauliflower Peas. Or you could be really healthy and just have Lakshmi's Kashayam to settle that stomach. Or you could forget this whole meal and go with Ranji's Simple Jhovan or Konkani meal! When I left India, I knew absolutely no cooking. I was a little nervous that I might be homesick for the food. Being vegetarian, the thought of being in the then-Meat and Potatoes-eating midwestern United States, was going to be a little difficult. So, I armed myself exactly a week before I left with 10 recipes that are easy to make (under 20 minutes) and easy to prepare (minimal authentic Indian ingredients - since I wasn't sure if there would be an Indian store around). One of those was spicy potatoes, and another was this one. Heat the oil in a saute pan. Add the cumin, salt, asafetida and bell peppers and stir fry until the bell pepper is 3/4 done. Add the gram flour and toss to combine with the bell peppers. It will start to form a crunchy brown layer (which is so good!). Remove from heat. This is perfect for a tortilla filling, and tastes great with steamed rice. Besan Bell Peppers are off to Pooja for the VoW-JFI event. Lakshmi has a delightful mango and chocolate "fool". Siri made a great-looking Hash Brown Melt. Divya shared her lovely carrot rice. Valli got some meat into the mix with her Mutton Fry. Swati got inspired by Beckham to make some Aloo Gobi! . After looking at Dhivya's post, you might have to go for a run! :) (to burn away the "virtual" calories - absolutely gorgeous!). And let's not forget Bhags' Spanakopitta and Ranji's Banana Chips! Mango Madness is right ... more like Mad that there aren't any mangoes yet! I guess according to the mangoes, summer hasn't truly begun (the weather begs to differ...!). I bought one mango, fully ripened at Rs. 20 (about $0.50), which is still a lot for a mango - just because I couldn't wait any longer. And I used it to make this mango salsa!! 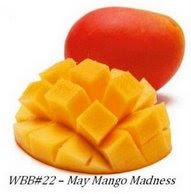 So here goes a precious mango over to Arundati at Escapades for her WBB's Mango Madness. Hopefully, by the time the round-up happens, there'll be lots of mangoes in the market to use! 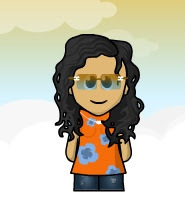 WBB was originally started by Nandita at Saffron Trail. Mix everything together for the salsa. Let it rest covered in the refrigerator for about 1/2 hour for the flavors to combine. To assemble, just lay some eggs in the middle of a tortilla. Cover with mango salsa. Enjoy. Didn't realize that mango salsa would taste good with eggs - it does! The only thing I would change next time is to dice the mango and the cucumber a little smaller. This is for Not Quite Nigella's Banana Bread Bake-off. Thanks for hosting this - I can't wait to see the round-up! I've made this banana bread a half dozen times, and just don't tire of it. Not being much of a baker, I loved this when I realized there was no yeast to work with (yeast and I have a hate-hate relationship). I immediately thought of these as party favors for the Chennai Bloggers Meet (always nice to have something sweet to take home). I had never baked them in individual portions before, but that turned out to be a breeze. I just bought little aluminium foil loaf-ish pans, and baked them two at a time (leaving a little space for the bread to rise). In a bowl, combine the sugar and butter until creamy. Add the banana a couple of pieces at a time. Add the eggs, AP flour, salt and baking soda and mix well till combined. I packed them up and was all set to go off and meet my new friends! And I was left with a home smelling of lovely freshly baked bread!